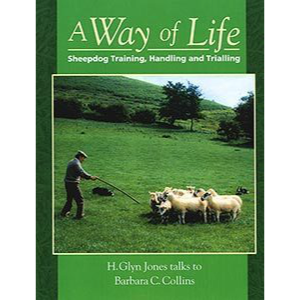 “A Way of Life”, written with Barbara Collins, is a highly readable mix of training advice and reminiscence over a long life spent with working dogs. 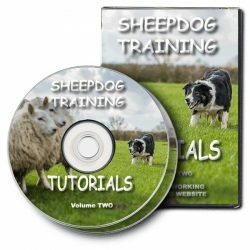 As well as training, from starting the young dog to polishing the performance of a trials dog, the book looks at the finer points of trialling and includes detailed diagrams and descriptions of trials courses. Sheepdog training, handling and trialling with the late H Glyn Jones. 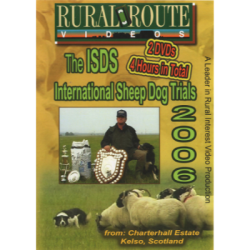 Glyn Jones was an outstanding sheepdog trainer and a consistent trialler. Over a long trialling career Glyn was twice Welsh National champion; he represented Wales at the International at least fifteen times; won, and was reserve, International Supreme champion, and won innumerable championships, series, and brace competitions. With his wife, Beryl, Glyn was also a respected breeder of sheepdogs and sheepdog puppies bearing the Bwlch prefix and many of today’s successful dogs have Bwlch lines. 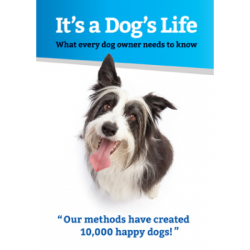 Chapters include: Early Days; Choosing a Dog; Foundations; From Play to Work; Widening the Dog’s Experience; Singling and the Outrun; The Turn Back; Polishing the Dog; and Advice for a Novice Breeder. Glyn Jones’ deep respect and affection for his dogs shows through in every page, and complements his practical and common sense approach to their care and training. 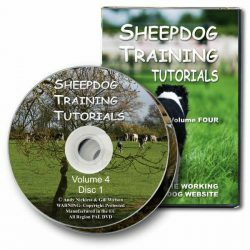 First published in 1987 and revised and updated for the soft cover edition, this enduring and insightful book reflects that, while the pace of life may change, sheepdogs don’t.